To enable Formyoula lookups for Orders and Contract you will need to make sure that users have access to the name field. 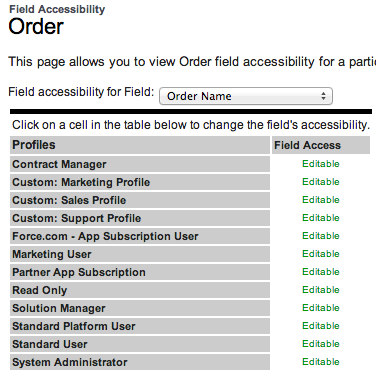 To check if the name field is enabled, please go to the Order or Contract name field on the Salesforce setup. Make sure the field is visible to your profile and all the user profile who will be using Formyoula.